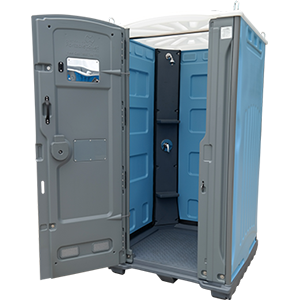 Our Portable Hot Showers are a comfortable hot shower facility that can be placed almost anywhere. Ensuites On Tow will deliver and install on site a hot shower for your use. 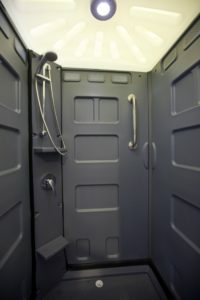 Portable Hot Showers are suitable for a range of uses including bathroom renovations, extra guests, glamping, sporting events to mention a few. Installation is included in all hires including placing the shower in place. 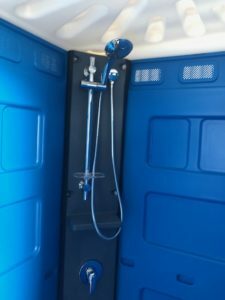 levelling the portable hot shower and connecting easily to domestic water and power. On completion of the hire we will collect the unit leaving your time to you. Enjoy the convenience of a domestic portale shower just like in your own home. Withan adjustable and removable shower head you can be sure you won’t be crouching over everytime you take a shower or trying to wash your hair, this shower has all the modern conveniences. 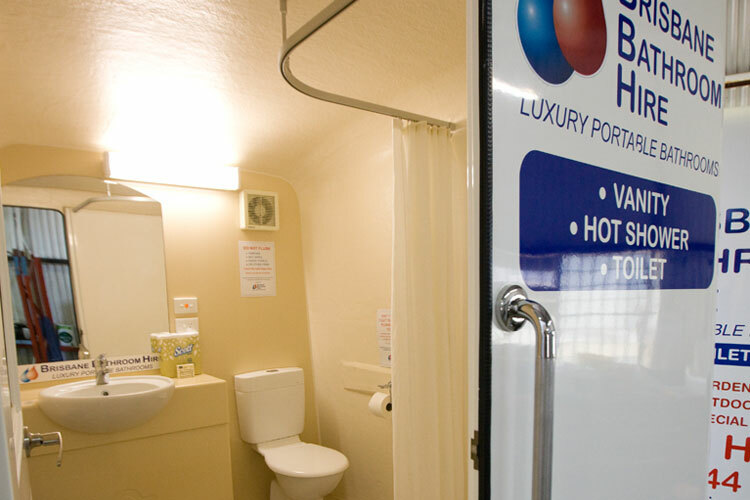 Ensuites On Tow have an absolute commitment to high quality customer service. We are confident you will not be disappointed with our products and to ensure you experience the best possible service, we offer you the best delivery and installation service in Australia. Put simply, we are a full premium service, we assess with you on site, locate the required utilities and install your unit to ensure maximum safety for you and your guests. We check all leads and chords, tripping hazards, install screens, make sure the site is level and give you a complete demonstration of the unit.